Cheryl Cronin ’77 stirs the pot at the Boston Public Market. Cheryl Cronin ’77 breezes into the Boston Public Market, familiar with every square inch of the mammoth space she now oversees as chief executive officer. She eyes the day’s fresh vegetables and seafood for her own family dinner as she huddles with vendors or their employees to talk business. The UMass Amherst alumna was a foodie and customer of the Boston Public Market (BPM) before taking a leap of faith in January 2016 and switching careers from lawyer to the top job at the market. The nonprofit business has multiple missions: develop a retail environment for locally sourced food, create economic opportunities, and increase access to healthy foods. Cronin has no regrets. “The market is a happy place, and I don’t mean to sound naive. Some places make you feel good no matter what. I feel that this is that place,” she says. The market, above the Haymarket MBTA subway station, has an old-fashioned look: each vendor has an artisanal, handcrafted sign; the soft lighting and other architectural structures cleverly disguise the cavernous building; and long, thick wooden tables beckon visitors to stop for a bite to eat. With 40 vendors, the choices are many. Want fish? Check out Red’s Best. You will not only find fresh seafood, but will learn the name of the fisher and vessel, port, and what kind of gear was used for the catch. Meat or poultry? You can find grass-fed, antibiotic-free animals raised in Massachusetts. Cheese? The BPM has more than 100 varieties from local farms and the Massachusetts Cheese Guild. Vegan or allergy-free lunch? Jennifer Lee’s Gourmet Bakery has gluten-free, nut-free, egg-free, and dairy-free breads and other baked goods and vegan sandwiches. Dessert? 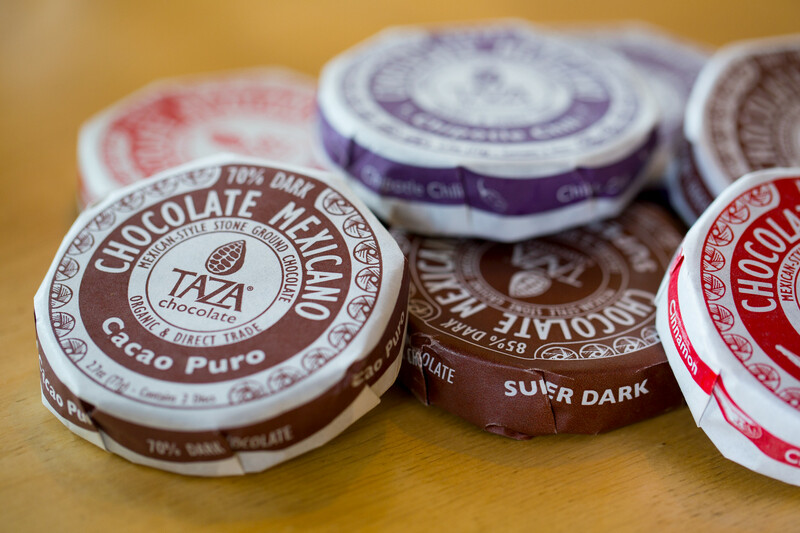 Taza Chocolate, based in Somerville, Massachusetts, pioneered a direct-trade cacao sourcing program that pays premium prices to farmers who pledge to avoid abusive labor practices. Its second year of operation nearly complete, Cronin says the market is still in its start-up phase with more improvements to come. Since she has been at the helm, the BPM operates seven days a week, and she has used her skills as a diplomat and negotiator, developed over more than 30 years as a prominent Boston lawyer, to work with vendors. 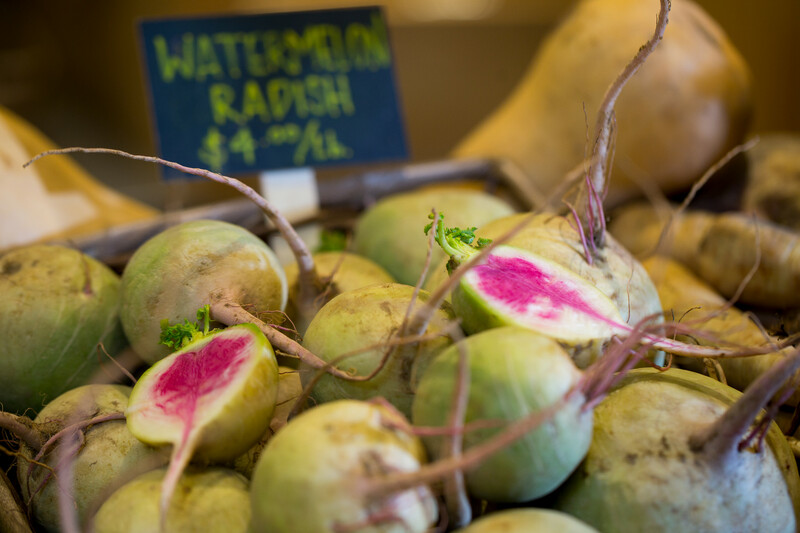 “Our job is to make sure the market is sustainable, and in doing that, we have to stay true to our identity as a source of local food,” Cronin explains. Knowing she wanted to attend law school, Cronin enrolled in the state’s flagship campus for its affordability and feels she struck gold when she learned that the political science department offered courses in legal studies, a rarity at the time. After she graduated from UMass Amherst with an honors degree in political science (her thesis was on the passage of the Equal Rights Amendment), she followed her father’s footsteps and became a lawyer. Cronin, who grew up in Silver Spring, Maryland, says her progressive Democratic views flourished amid the diverse student population and campus activism. She found her women’s studies course, then uncommon on college campuses, empowering. “We take it for granted now, but as a 20-year-old woman, I came out of that course feeling like I could do anything,” she recalls. With multiple options, Cronin developed a legal practice that concentrated on ethics and campaign finance, a prescient move. She was the first general counsel for the Massachusetts Office of Campaign and Political Finance and went on to advise political heavyweights, such as former U.S. Senator and Secretary of State John Kerry and the late Boston Mayor Thomas M. Menino. She also served on legal teams for President Barack Obama’s 2008 and 2012 elections. “I have had a seat at some interesting tables,” she notes. Now her focus is on food served at tables in Boston and across New England. 1. Bring a large pot of water to boil. Blanch garlic scapes for 1 minute, until slightly soft. 2. Using a food processor, blender, or immersion blender, pulse scapes, garlic, cheese, nuts, and herbs until well blended. Add ½ cup oil and pulse until smooth. Season with salt and pepper, to taste. 1. Lay the fish in a shallow, ovenproof casserole dish or skillet. Cover fish with a 1⁄8-inch-thick layer of olive oil (about 2 cups), season with salt and any other herb or spice you like. 2. Cook in a 275-degree oven, basting often, until it’s cooked through. For a 1-inch-thick fish fillet, about 30 minutes. 3. Top with garlic-scape pesto and serve over a bed of greens or rice, if you’d like. 1. Preheat oven to 375˚ F and lightly grease an 8 x 8-inch baking pan. 2. In a large bowl, mix hot coffee, vegan margarine, and bittersweet chocolate until melted. 3. In a small bowl, combine sugar and salt. Add to chocolate mixture. Add the oil and vanilla, mixing to combine. 4. In a separate large bowl, mix together the flour, cocoa powder, and baking powder. Add the dry ingredients to the wet ingredients and mix until incorporated. 5. Pour the batter into the prepared baking pan and bake for 30 minutes, or until a toothpick inserted into the center comes out clean. Do not overbake! Better to leave slightly underdone. 1. In a medium bowl, combine lime juice, honey, and salt. Add the vegetables and let rest for 30 minutes. 2. Drain radishes and sliced shallot and toss in the parsley. Sprinkle with almonds and serve.